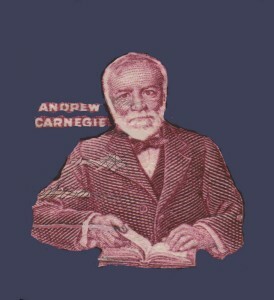 Andrew Carnegie- "Concentrate your energies, your thoughts and your capital." All honour´s wounds are self-inflicted. I began to learn what poverty meant. It was burnt into my heart then that my father had to beg for work. And then and there came the resolve that I would cure that when I got to be a man. Concentration is my motto – first honesty, then industry, then concentration. Success can be attained in any branch of human labor. There is always room at the top in every pursuit. Concentrate all your thought and energy upon the performance of your duties. A sunny disposition is worth more than fortune. Young people should know that it can be cultivated; that the mind like the body can be moved from the shade into sunshine. Mr Morgan buys his partners; I grow my own. No person wil make a great business who wants to do it all himself or get all the credit. Surplus wealth is a sacred trustwhich its possessor is bound to administer in his lifetime for the good of the community. The “morality of compromise” sounds contradictory. Compromise is usually a sign of weakness, or an admission of defeat. Strong men don´t compromise, it is said, and principles should never be compromised. The average person puts only 25 % of his energy and ability into his work. The world takes off its hat to those who put in more than 50 % of their capacity, and stands on its head for those few and far between souls who devote 100 %. The man who acquires the ability to take full possessionof his own mind may take possession of anything else to which he is justly entitled. I did not understand steam machinery, but I tried to understand that much more complicated mechanism – man. Think of yourself as a threshold of unparalleled success. A whole, clear, glorious life lies before you. Achieve! Achieve!